So, what if you want to be a bit more proactive and double-check whether you have an up to date SAS setinit in metadata? 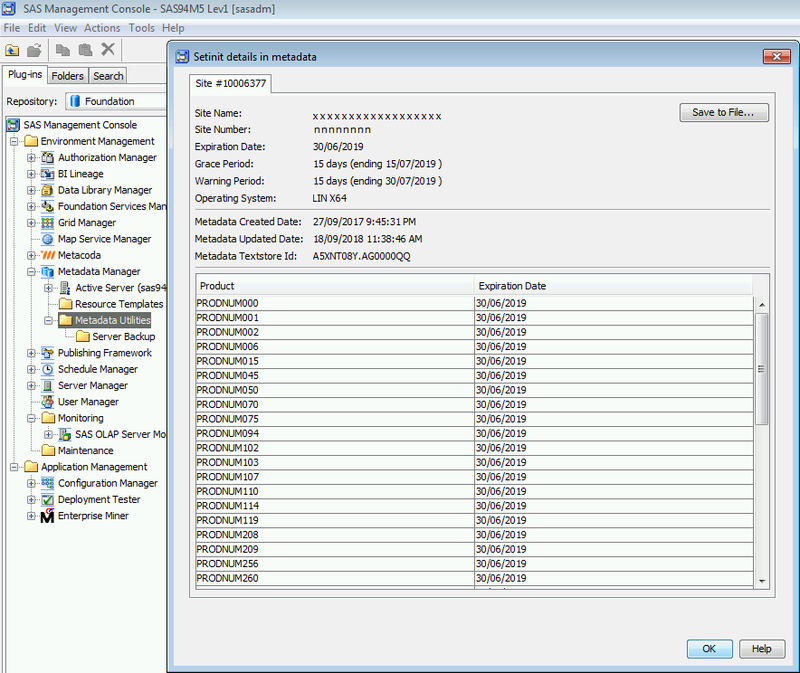 Well, a nifty new feature was added to SAS Management Console back in SAS 9.4 M2: navigate to the Metadata Manager plug-in, right click over the Metadata Utilities folder and select the View metadata setinit details… context menu item. … after which you will see the Setinit details in metadata dialog where you can review the dates to see how current it is (or isn’t). 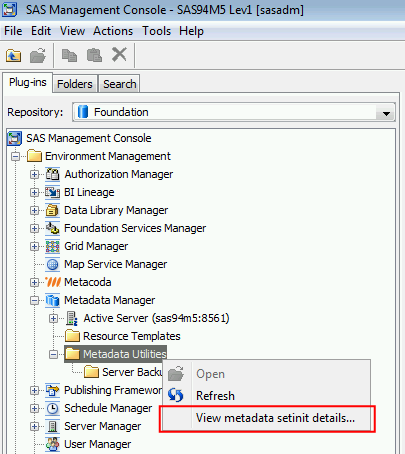 For more info on this topic, including how to update the SAS setinit in metadata, see Managing Setinit (License) Information in Metadata in the SAS 9.4 Intelligence Platform: System Administration Guide.